Gift Certificates are available for Introductory Flights which are $100 for a tow to 3000 feet or a Mile High Flight (5280 feet) for $150. You may purchase a Gift Certificate at the club any Saturday, Sunday or Wednesday or use the Buy Now button below to have a Certificate sent to you or another recipient. 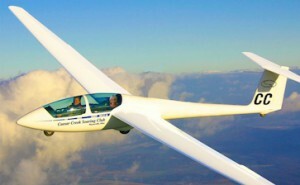 You will also receive a copy of the video “Soaring: Your Sport for the New Millennium“. Only Commercial rated pilots fly introductory flights. When purchasing the GIFT CERTIFICATE below, the pull down menu allows you to select the ride as described above. Please note that the checkout process will ask where you want the gift certificate sent. Should you have any questions, please call our business manager at 513-932-7627 or email them at businessmanager@nullsoarccsc.com. To pay for CCSC merchandise, just enter the Item Description below and press the BUY NOW button. This will take you to the PayPal page. Enter the amount on the left and the quantity if other than one. Then click on Continue to the next page which allows you to use PayPal (if you have an account) or a Credit/Debit card to pay for the Merchandise.